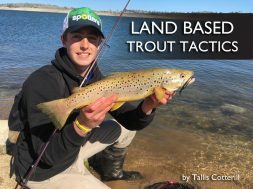 With the trout stream season all wrapped up for the winter ahead, it’s time for those of us (trout obsessed) anglers to hit the lakes and dams which are open to fish year round. Throwing a boat or kayak into an alpine lake is a great way to spend the weekend but for those who don’t own a vessel or just day trippers who want to pond hop without lugging the boat around, walking the banks of our numerous alpine trout lakes can be fun, relaxing and very productive. 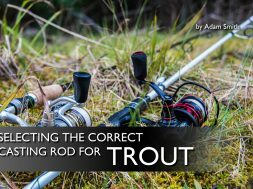 When walking the banks of a lake for trout there are a few simple things you can look for rather than casting around aimlessly. Shade or overhanging trees provide safety from birds like cormorants and shags. 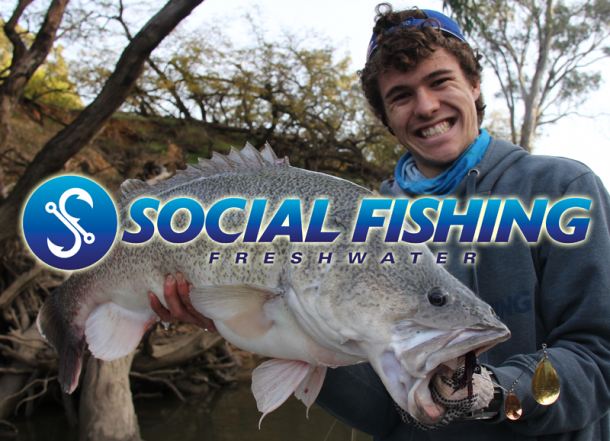 Getting a cast in under the overhanging branches from the bank can be tricky but your lure can easily be unsnagged if you are slightly wayward with your cast. 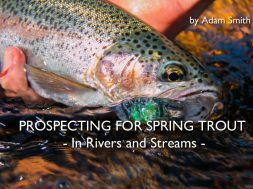 Points and ridge lines are great areas to target and casting either side of the underwater ridge can produce decent sized trout holding there waiting to ambush food. 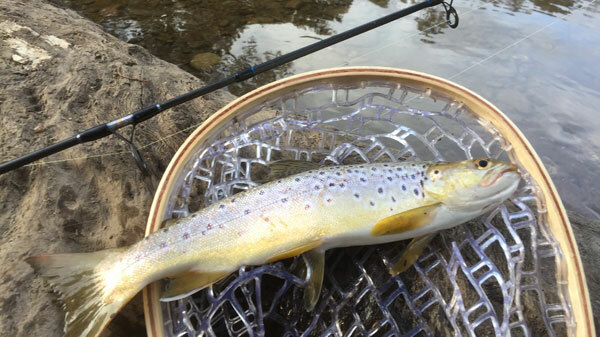 Sighting fish is common early in the morning and late afternoon as trout can be spotted on the surface or even tailing in the shallows. 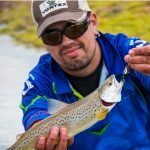 When spotted it can be a very exciting and sometimes frustrating discovery, but always worth casting at. 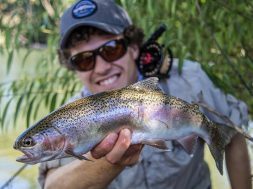 Bays are good areas to find rainbow trout hunting for food in a circular patrol. If they aren’t interested in a certain lure chances are you will have time to change, ready for the next loop around. 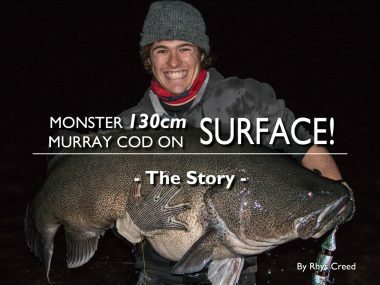 Distance in your cast has a massive effect on how well you can fish from the bank. The best side of the lake on a windy day is the wind-blown side which means when you are fishing you will be casting into the wind. This makes it even more difficult, but this is where you want to be because this is where the fish move in to feed. 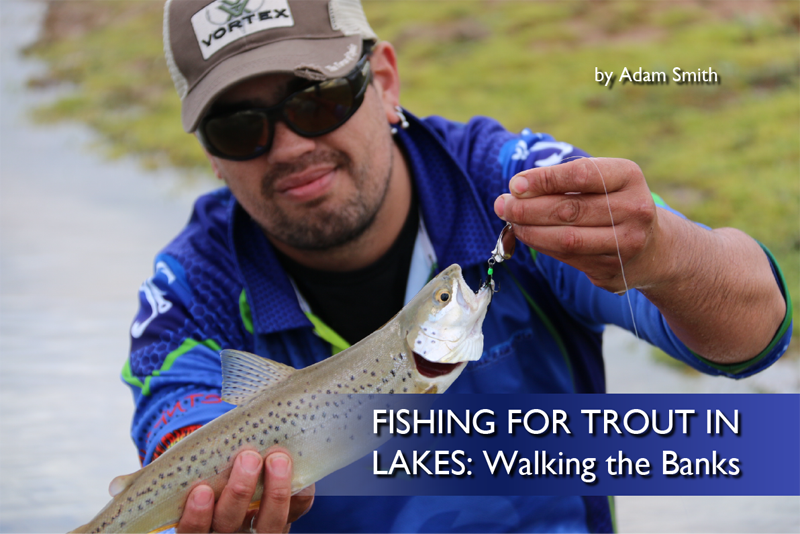 Having a lure that has weight to cast long or punch through the wind is almost a must. 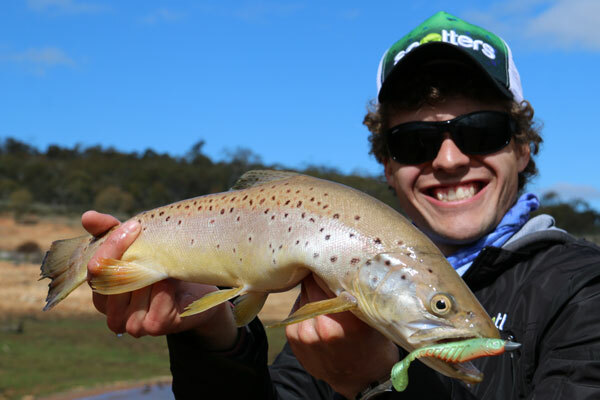 Tassie Devils, spoons, metal vibes (blades) and soft plastics are all great and can cover plenty of water quickly. 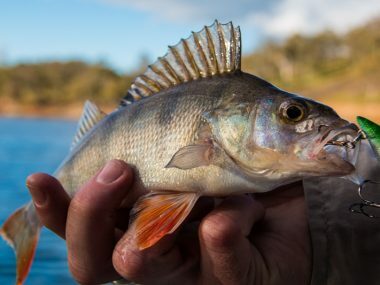 Hardbody lures and spinners have less casting distances but on calm days are definitely worth having in your tackle box. One of the best investments I can recommend for standing in these lakes through winter is a good pair of waders. Breathable waders are the best and will do the job if you’re wearing a decent set of thermals underneath. 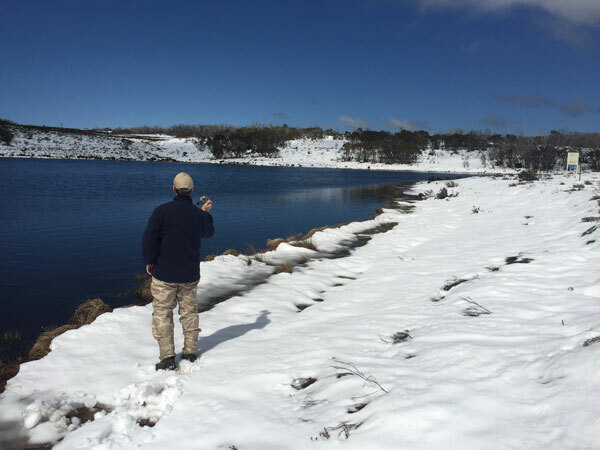 I highly recommend neoprene waders which have very good insulation properties and can make wading in the shallows of our alpine lakes an enjoyable experience even in winter. 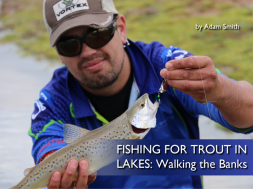 Fishing for trout from the bank of lakes and dams is as relaxing and enjoyable as fishing the streams. 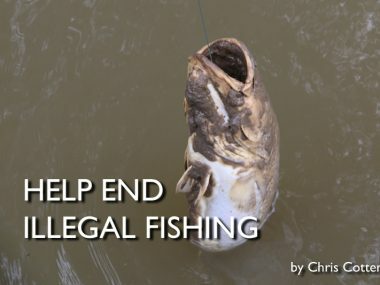 It’s better suited to a wider range of anglers as those who might struggle hiking up streams like children or the elderly can fish the lake shores with ease. 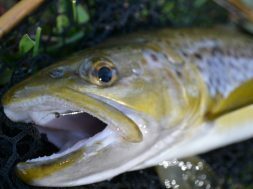 Don’t let the cold keep you at home as there are plenty of fish in our lakes and walking the banks is a simple and effective way to catch them.